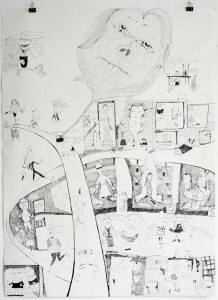 This book was made in conjunction with the Exhibition Gasbag where I showed 100 small drawings and 10 of the larger (63 x 105cm) composite drawings shown below. 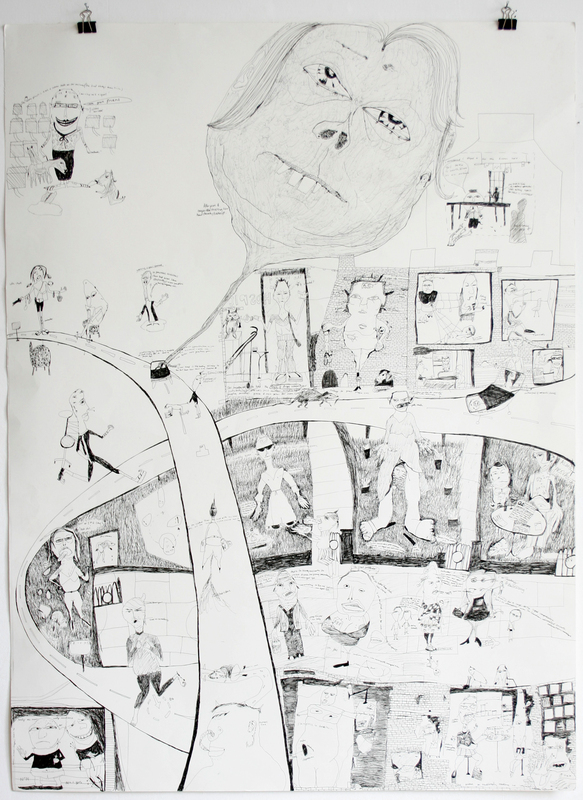 Each larger portrayed an archetipal institution such as ‘The Family’ and ‘The Gym’, ‘The Art School’ all with comic and grotesque undertones. 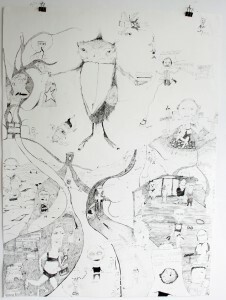 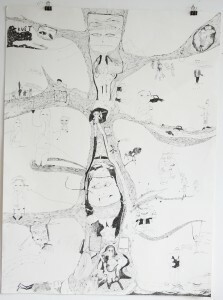 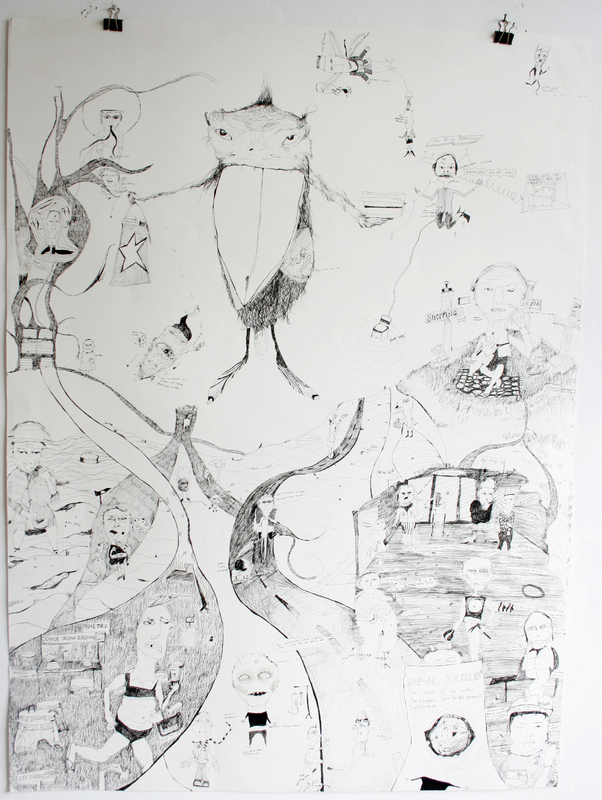 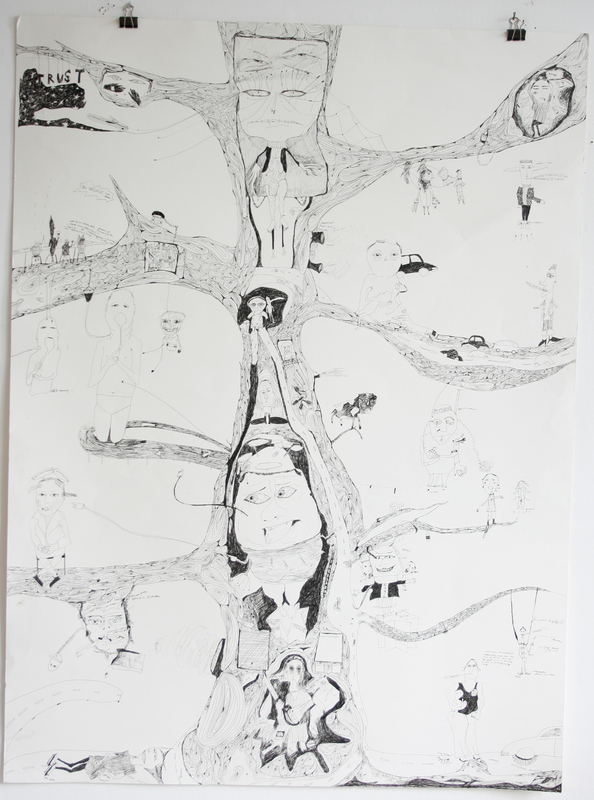 The drawing based on an Art School was later selected for the Jerwood Drawing prize exhibition .